As a novelist, art critic, and cultural historian, John Berger is a writer of dazzling eloquence and arresting insight whose work amounts to a subtle, powerful critique of the canons of our civilization. 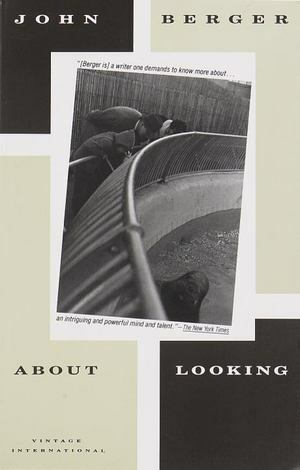 In About Looking he explores our role as observers to reveal new layers of meaning in what we see. How do the animals we look at in zoos remind us of a relationship between man and beast all but lost in the twentieth century? What is it about looking at war photographs that doubles their already potent violence? How do the nudes of Rodin betray the threats to his authority and potency posed by clay and flesh? And how does solitude inform the art of Giacometti? In asking these and other questions, Berger quietly -- but fundamentally -- alters the vision of anyone who reads his work.